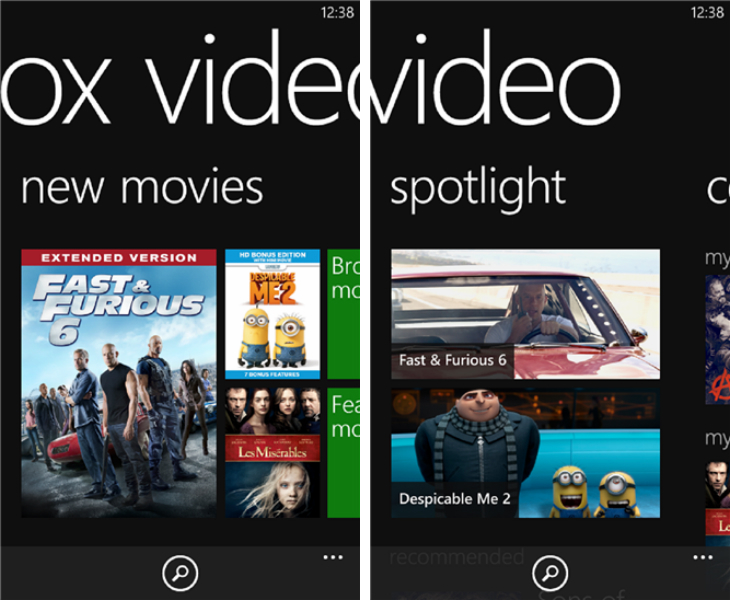 Microsoft is putting its weight behind Xbox Video, an online store for digital movies and TV shows, with a dedicated Windows Phone 8 app. The cross-platform service is now available from the browser, as well as a dedicated Windows 8/RT app and through the Xbox 360 and Xbox One. Purchases are synced and you can resume a film or TV show at the exact moment you pressed pause, regardless of what device you’re on. With the Windows Phone 8 app you can buy or rent titles, and also choose to stream or download content depending on your connectivity. We’re reaching out to confirm whether the app supports 1080p streaming though; at the moment, only the Xbox One, Xbox 360 and Windows 8 apps support full HD playback.